Guest House Location, Location of Guest House, Hotel Pandim Location, Location of Hotel Pandim. Our location is unique- unlike many other hotels, we are located in a peaceful, quiet part of town. A small bamboo forest is opposite our guest house, and we are at a perfect spot for walking tours or for jogging though some of the quieter parts of Gangtok. To reach our hotel, you can ask a taxi driver to take you to the Royal Palace, or to the Tashiling. 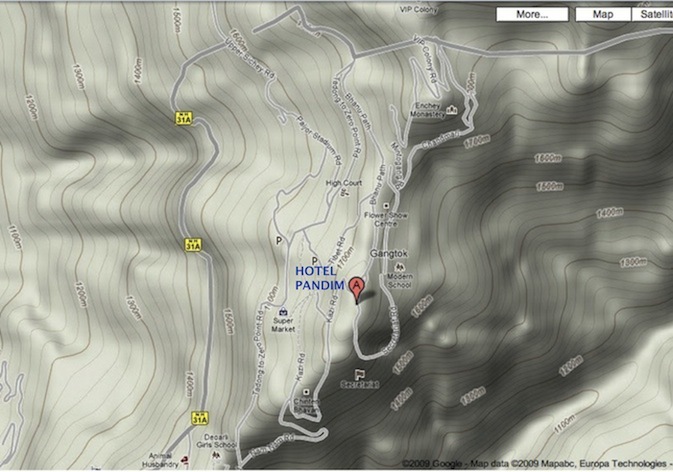 Hotel Pandim is located on the way- less than a minute before you reach these landmarks.